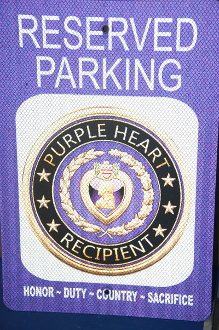 Our NEW Purple Heart Reserved Parking Sign Panel. THese are made of .040 allum with reflective coating, predrilled for easy mounting. These are 12" x 18"